God has called us all, to participate in our parish at some level. It takes all of us in our different roles to make this a vibrant community of faith. What an honor it is to carry the wine, hosts and offerings to the celebrant at Mass for consecration! Any occasion can be a time to serve as a Gift Bearer: a birthday, an anniversary, or just a “happy day,” or maybe you would like to bring up the gifts on the memorial of a loved one. The ministry of Gift Bearer is a time during the Mass when anyone, no matter what your level of involvement, can actively take part in the Mass. No special training is required to serve in this ministry, just your commitment to serve at any given Mass of your choosing while dressing in your Sunday’s best! A minimum of 3 gift bearers are needed to carry: Bread, Wine and Offertory Collection. Families or groups of any size can serve. SIGNING UP IS SIMPLE AND TAKES ONLY 2 MINUTES! 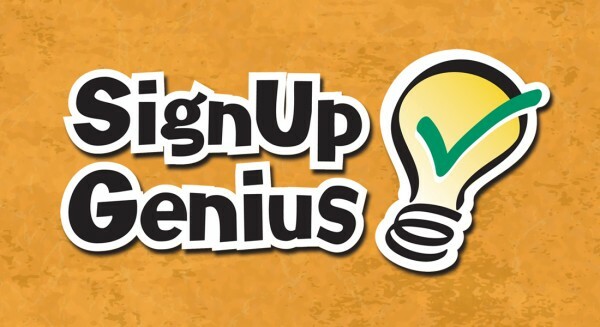 Click on the Signup Genius Logo below and follow the prompts.